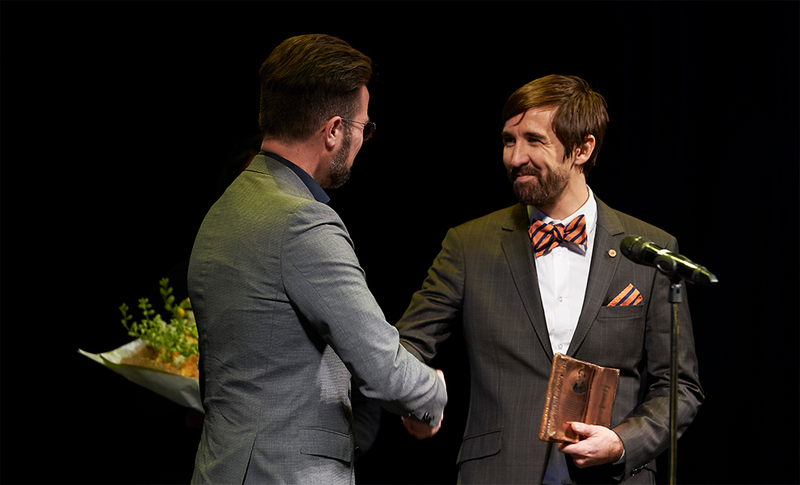 The mayor of Odense Peter Rahbæk Juel presented the Hans Christian Andersen award 2017 to Købke on Andersen’s 212th birthday on April 2nd. - This was Købke’s final words to the family, the award committee and collaborating partners. The Hans Christian Andersen Award is a statuette of copper, shaped as Andersen’s book ‘My Life as a Fairytale‘ - created by sculptor Jens Galschiøt. On the statuette a verse of ‘Denmark, My Native Land’. 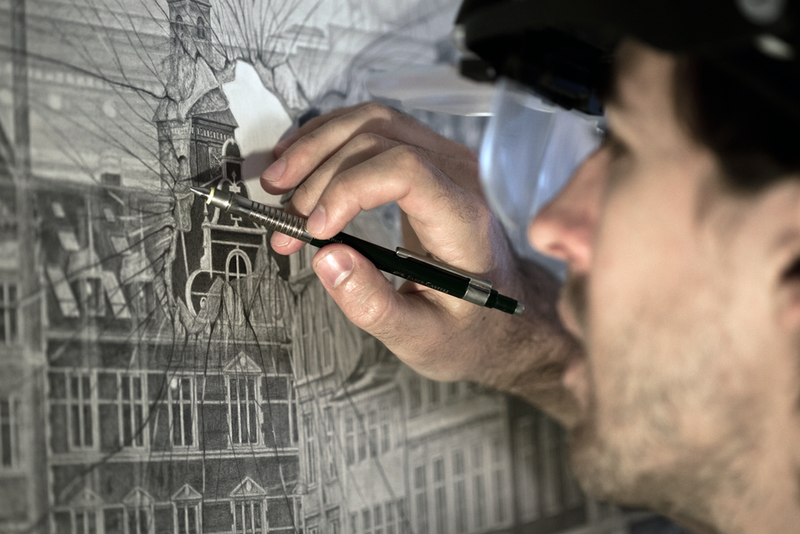 Købke received the Hans Christian Andersen Award for his original Art Drawings for the book 'Hans Christian Andersen Fairytale' and for the extraordinary work with Hans Christian Andersen, which contributes to raising awareness of the Danish national author in many parts of the world. The award has previously been given to author Günter Grass, Queen Margrethe II of Denmark, Actress Ghita Nørby and author Johannes Møllehave. Do you want to know more about Købke's Hans Christian Andersen Fairytale book and possible how to get it on your own bookshelf? 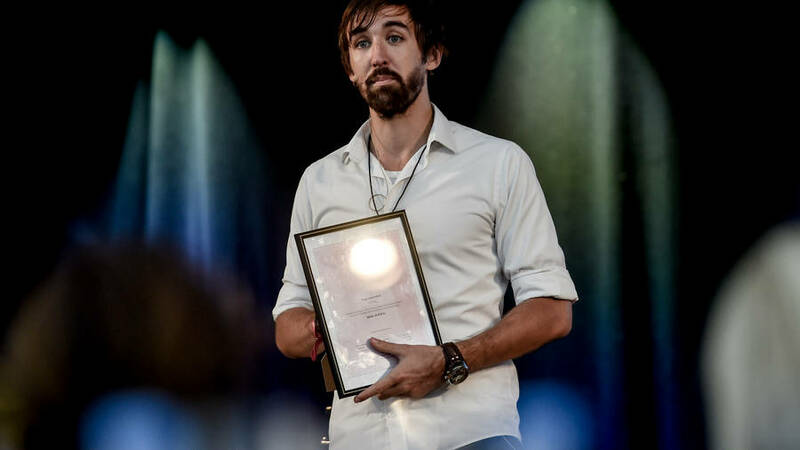 Købke received the public choice award during the H.C. Andersen Festival 2016 for his work with the art drawings in the book 'Hans Christian Andersen Fairytales' and the dissemination of Hans Christian Andersen and the Art Drawings in the book via public speeches, drawing workshops, exhibitions and conversations with the audience during the H.C. Andersen Festival 2016. Købke proudly thanks for the award and the accompanying 25.000 DKK. 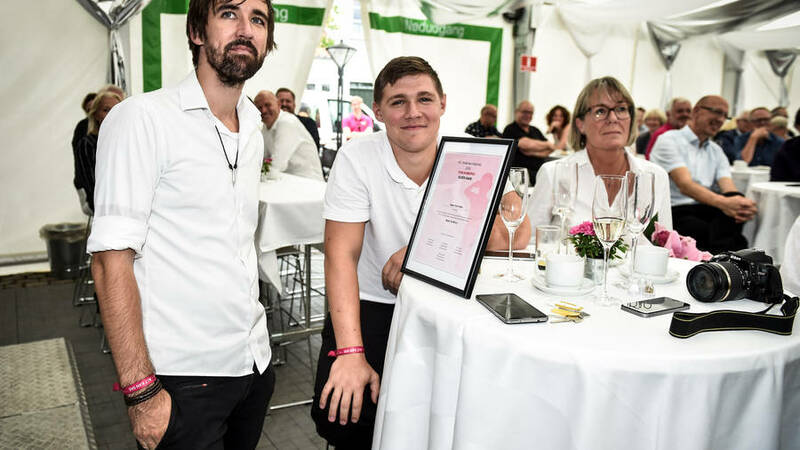 After receiving the award Købke joined his family, who had helped him throughout the festival week with the exhibition, speeches and various drawing events for schools and other visitors. 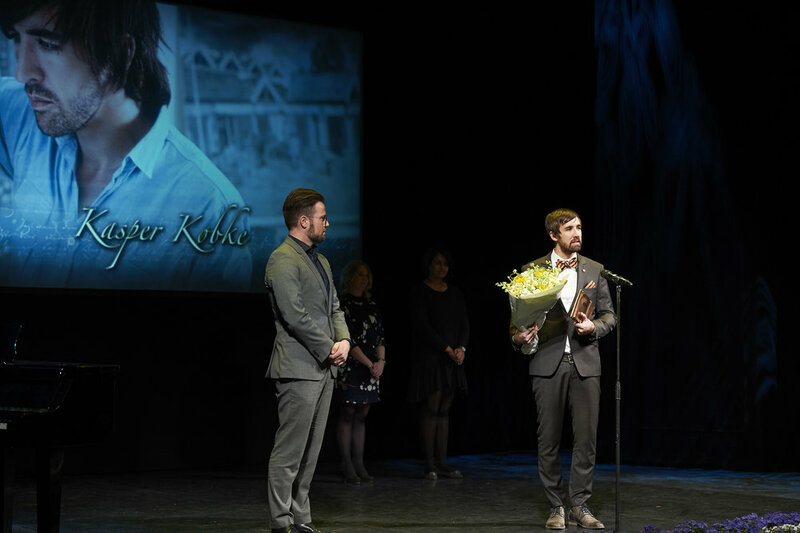 Video: Award show and presentation about Købkes 5.000 hours in Hans Christian Andersens footsteps. (I apologize the not so good video quality which is because it was recorded on a smartphone). 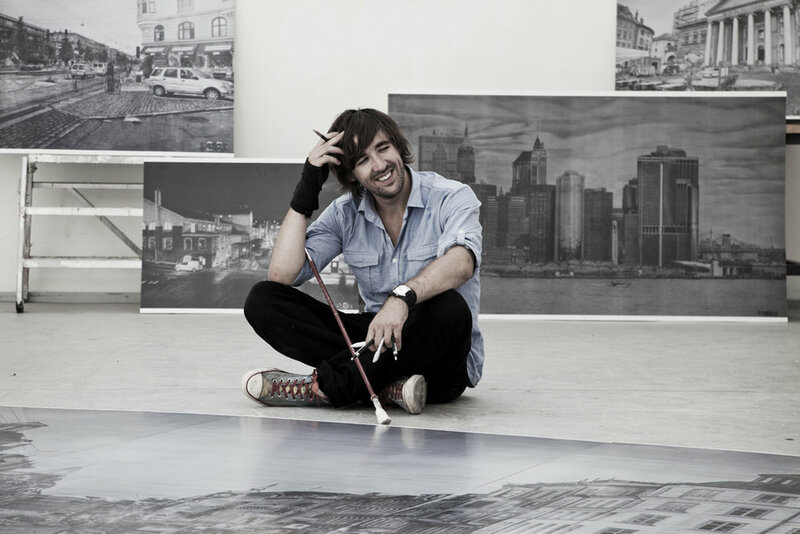 Part of the judges statement for the award; "Excellent technical ability combined with mood and motif makes Kasper Købke's artwork stand out from the crowd. 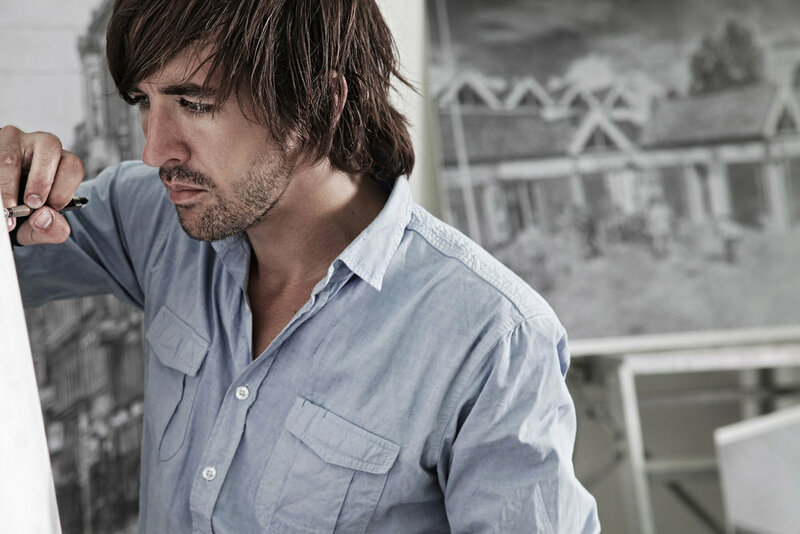 The attention for details, the ability to see everyday objects such as historical buildings, waste and an overturned bamboo as a motif for an artwork makes Købke more than just an outstanding craftsman."